Sometimes, a change of scenery can do a world of good in refreshing your perspective. Whether you are overworked or uninspired, a trip along the Mexican coast can be a great choice for turning things around. However, you may not want a long getaway. There are some easy-to-reach destinations that are perfect for the need. You can get Mexican insurance from MexicanInsuranceStore.com in just a few minutes. With Mexico insurance at MexicanInsuranceStore.com, you can head out quickly. The Playas de Tijuana area is really close, providing you with quick access to beautiful scenery. At the same time, you can avoid the crowding so common in California beach areas. Additionally, beach traffic in Mexico is rarely as crazy as that of Southern California. Although the pace is slower and more laid back, don’t ignore the need for Mexican insurance from MexicanInsuranceStore.com. As you check out your Mexican insurance from MexicanInsuranceStore.com, you will need to decide between full and liability coverage. Little things like potholes, speed bumps and stray dogs can turn your vacation into a headache quickly, but selecting the right Mexico insurance at MexicanInsuranceStore.comwill prevent such issues from being overwhelming. Don’t forget, Mexican insurance from MexicanInsuranceStore.com is required in Mexico! Ensenada provides you with the chance for a soothing drive. Traffic tends to be very stress-free, and the magnificent view of the Pacific Ocean provides you with something other than work to focus on. 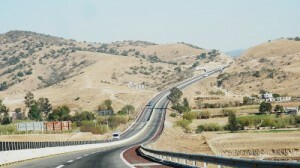 The toll road from Tijuana to Ensenada takes approximately one hour to drive, and your Mexico insurance at MexicanInsuranceStore.com provides you with important benefits for toll road issues. Your toll covers maintenance and other needs on such byways, and accidents that arise from poor toll road conditions are covered by supplemental toll insurance included in your toll costs. However, you must have your own Mexican insurance from MexicanInsuranceStore.com to be eligible for these benefits. The alternative road between the two areas is not maintained as well as the toll road is. Additionally, it won’t provide you with the spectacular view. You may just fall in love with the area as you spend a little time. Long-term Mexico insurance at MexicanInsuranceStore.com will allow you to return as often as necessary to keep your spirits up. It is always a pleasant drive when you head towards the scenic routes of Mexico; furthermore you need to purchase Mexican auto insurance for any unexpected incident on the road.